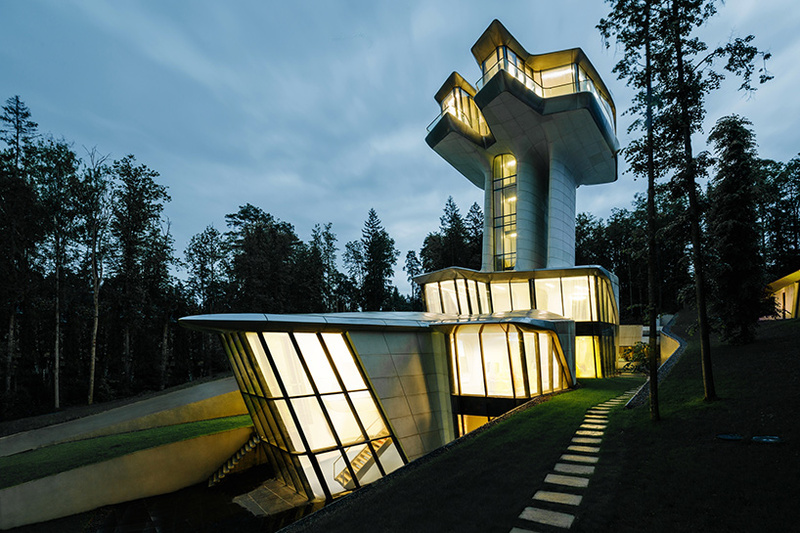 architecture in russia surveys the contemporary condition of the country’s built environment, showcasing a range of innovative projects and the diverse materials and unconventional forms employed in their construction. 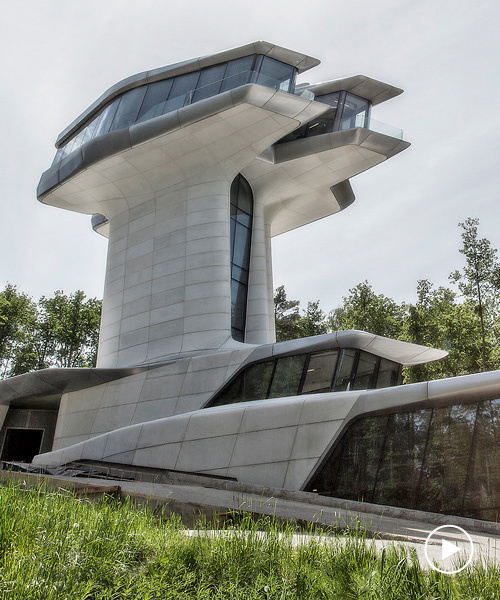 in 2006, russian businessman vladislav doronin commissioned zaha hadid to design his private house on a remote plot of land outside of moscow. now, the ‘capital hill residence’, which is the only private home that hadid designed, is complete. located on the north-facing hillside in barvikha, where pine and birch trees grow to heights of up to 30 meters, the form of the building is defined by its natural topography with fluid geometries emerging from the landscape and remaining partially embedded within the hillside. the house was designed for vladislav doronin, the founder, chairman, and CEO of OKO group — an international real estate development firm. 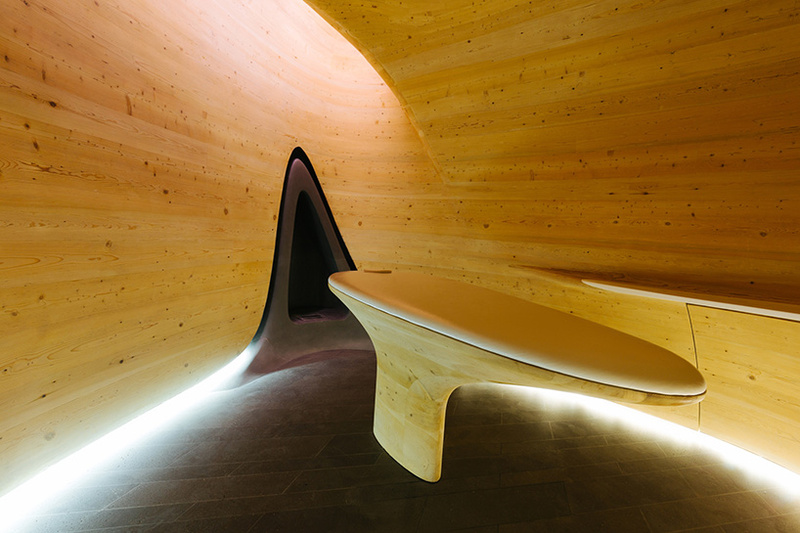 in explaining his vision to zaha hadid, doronin said: ‘I want to wake up in the morning and just see blue sky’. 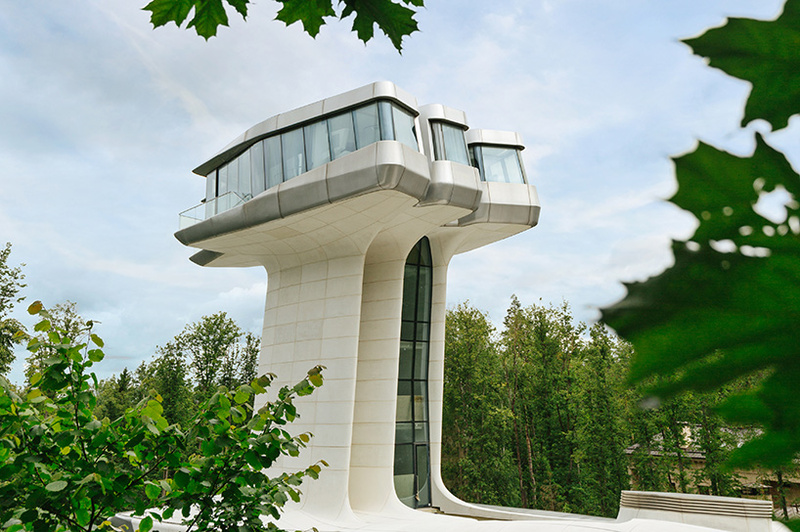 hadid replied, ‘you realize you have to be above the trees?’ consequently, the dwelling is divided into two main components. 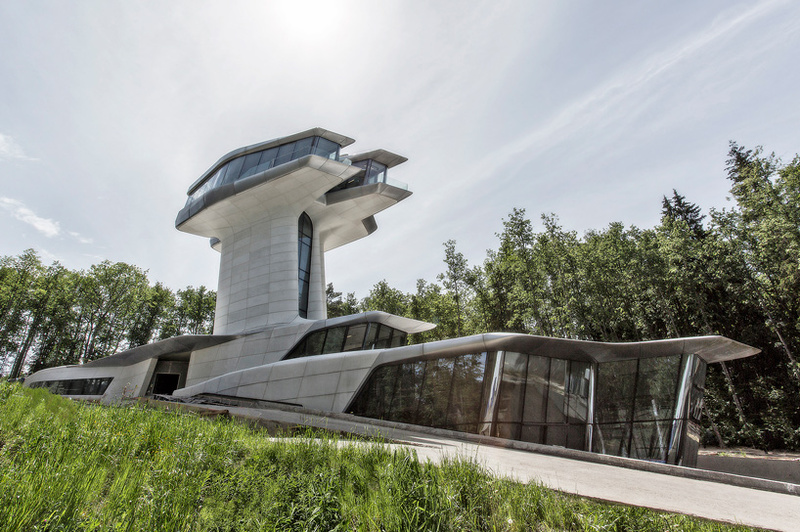 the first merges with the sloping forested landscape, while a separate volume ‘floats’ 22 meters above the ground to benefit from the spectacular views of the forest over the trees. comprising entertainment spaces, an indoor swimming pool, fitness and massage areas, sauna and hammam, as well as guest rooms and exterior terraces, the residence reflects vladislav doronin’s health-centered lifestyle and his passion for both wellness and hospitality. a film where doronin explains his ideas for project can be viewed at the top of this page. 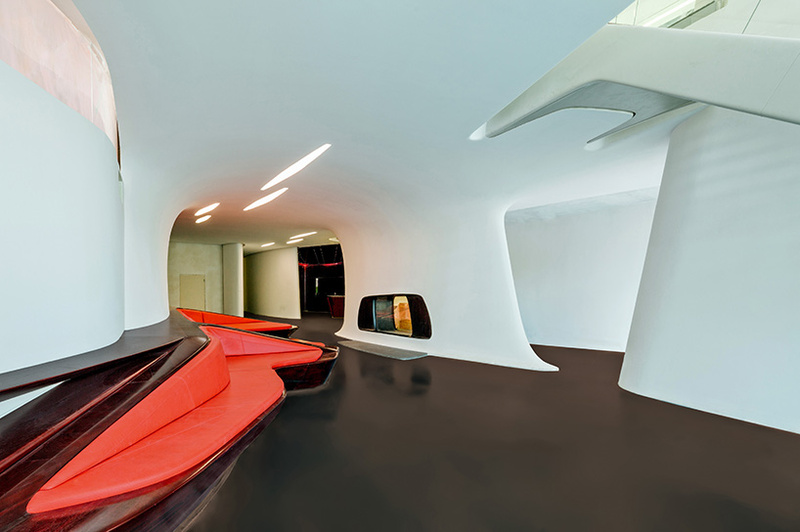 the movie also features patrik schumacher, the architect who has led zaha hadid architects since hadid’s passing in 2016. Elitist Frankenstein project for the 1%. The fawning client in this case couldn’t be more unctuous. An oldie but a goodie ? Would I like to live in it ? But doubtless a future classic. Coming to a sci-fi film set near you……wonderful Russian Soviet era inspired work.